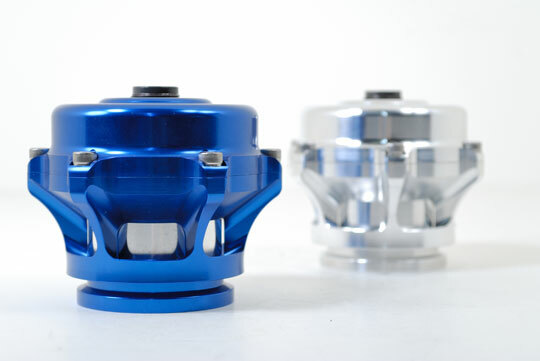 Tial's beautiful Q blow off valve is CNC-machined from 6061 aluminum alloy and features a large 1.98 in (50.5mm) valve. The V-Band design aluminum mounting clamp gives a very clean and unique appearance. The clamp uses Stainless Steel hardware for a long lasting, corrosion-free appearance. 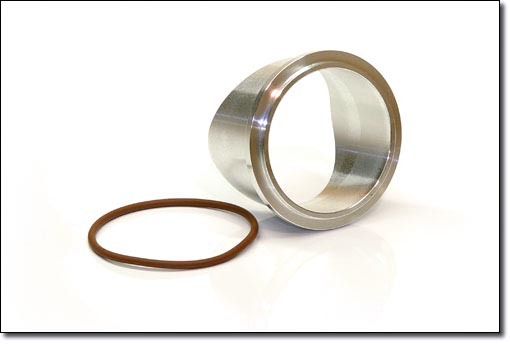 The valve seal utilizes a Viton O-ring that is clamped in place to prevent the possibility of sticking to the seat and pulling out. The valve stem and guide are Teflon-lubricated, hard anodize-coated for wear resistance. The Blow Off Valve also comes with a machined aluminum banjo-type air fitting and bolt, with over sized 10mm hose barb for quick actuator response. The actuator has a high temp silicone Nomex-reinforced diaphragm for long life. Through countless hours of R&D Tial has been able to make the same size valve flow a staggering 60% more than the original design - that means 60% more air is blown off per cycle! This is the highest flowing BOV on the market, and the only BOV we reccomend! Save your turbo(s)!